Cairo (CNN) — One of the world’s oldest civilizations took a major step toward democracy Wednesday, as Egyptians began a historic vote for president. Grandmother Nadia Fahmy, 70, was so determined to be the first one to vote at her polling station that she camped out in a plastic chair for two and a half hours before it opened. Other people told CNN they had waited up to four hours to vote as an atmosphere of enthusiasm swept polling stations in the capital. The voting, which will take place over two days, is a monumental achievement for those who worked to topple longtime President Hosni Mubarak in one of the seminal developments of the Arab Spring more than a year ago. Roughly a dozen candidates are running in the race, which is considered the nation’s first free and fair presidential election in modern history. An army of 30,000 volunteers has fanned out to make sure the voting is fair, organizers with the April 6 youth movement said. They had seen only minor violations by lunchtime Wednesday, they said, mostly mentioning supporters of one candidate or another trying to influence voters at polling stations. There is a pervasive fear that the powerful military, which has run the country since the fall of Mubarak, could try to hijack the election. The concern persists despite the insistence of the Supreme Council of the Armed Forces that it will hand over power to an elected civilian government — and have even put armored personnel carriers on the streets with loudspeakers broadcasting that message. Voting started Wednesday and is expected to continue through Thursday. Egyptians living abroad have already cast their ballots. Among the candidates vying for the presidency are Mohamed Morsi, of the Muslim Brotherhood’s Freedom and Justice Party; Amre Moussa, who served as foreign minister under Mubarak and headed the Arab League; Abdelmonen Abol Fotoh, a moderate Islamist running as a respected independent; Ahmed Shafik, who was Mubarak’s last prime minister; and Hamdeen Sabahy, a leftist dark-horse contender. If no candidate gets a majority of the vote in the first round, a second round will be held June 16-17. Results of the first round are not expected before the weekend. Many Egyptians seem uncertain of their loyalties to any particular candidate, and even the weakest of arguments or the strangest of rumors can shift public opinion overnight. 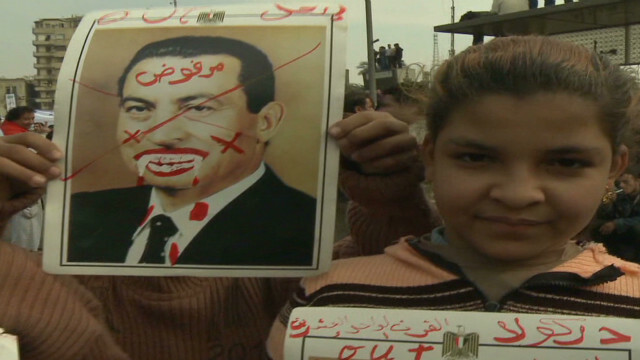 The vote comes nearly 16 months after the popular uprising that brought down Mubarak in February 2011. Distrust and anger, particularly against the military’s power in Egyptian governmental affairs, still inspire protests, some of which have been marked by deadly clashes. Protesters are upset at what they see as the slow pace of reform since Mubarak’s ouster. Some are also concerned that the country’s military leadership is delaying the transition to civilian rule. In January, two Islamist parties won about 70% of the seats in the lower house of parliament in the first elections for an elected governing body in the post-Mubarak era. The Freedom and Justice Party won 235 seats and the conservative Al Nour party gained 121 seats in the People’s Assembly, according to final results. The assembly consists of 498 elected members, and the rest of the seats were divided among other parties. CNN’s Salma Abdelaziz and Hala Gorani and journalist Ian Lee contributed to this report.